On my first day in the office in Singapore in 2011, I asked a colleague, a Filipina too who arrived in Singapore just a couple of months before me, to which beaches she had been to around Singapore. She said, she’d been to only one yet – Pulau Tioman. . From that day, I had always been curious how Tioman Island looked like and I really wanted to go. I had only made the longed beach trip until 2013. We booked bus tickets online from Singapore to Mersing, Malaysia (you can go to singaporemalaysiabus.com) and left our flats very early in the morning, the bus departure time is at 6:30 AM. 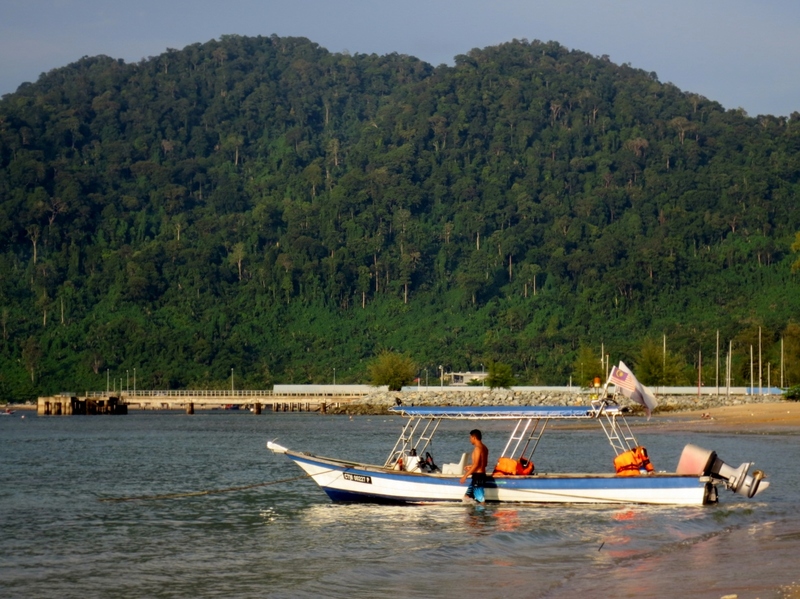 Travel time to Mersing, which is located at the south east side of Malaysia, is around 3 to 4 hours. From Mersing, we boarded a ferry going to Tioman Island. We reached the island in the early afternoon and my first impression was, it really really looked like islands in the provinces of Philippines. The view of the emerald green mountain just across the beach shore, the rural ambiance, the fresh air, everything, it felt like home. It is just so quiet that I already doubted if it is nice for a group of goofy people in the late 20’s. . haha. . I think it is a goodplace for family getaways and honeymoons. .
these are in Ringgit. . So affordable, agree? We spent the whole afternoon in the beach enjoying the salt water and the alcohol we brought with us while we listen to our favorite songs. We also snorkeled for a while. There is really nothing much to do but to enjoy the company of your friends. The island is unbelievably quiet. 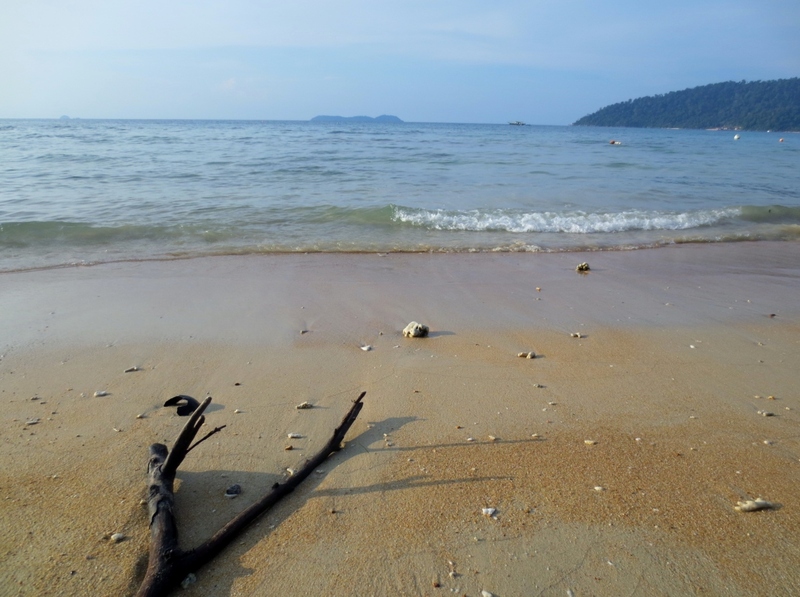 I have never felt relaxed in the beach before until I stayed in Tioman. haha. . With dim yellow lights at night, closed commercial buildings and shops, no crazy night parties, sound of crickets seemed to be in rhythm with the splashes of waves on the shore, people slept early at around 9 or 10, this is how I describe my night in Tioman. I think we all need such experience more than once in our lives. 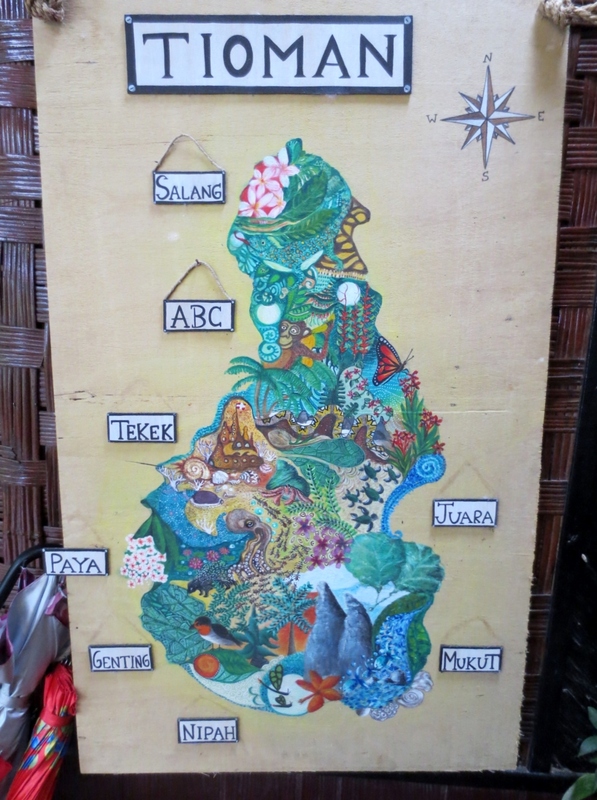 I really felt like my mom threw me to my aunt in a far away province in Philippines to experience the “simple living”. hihi. .
a chalet facing the beach. . I loved the island but there is one thing that all the muscles, teeth and bones in my body really really hated. The beach we stayed is a sand fly paradise. I was bitten by countless sand-flies to every exposed part of my body (I’m “luckier” coz I wore a monokini rather than a 2-piece swimsuit). It was a long time ago but I still feel the goosebumps every time I remember how itchy the bites were. . The itch lasted for weeks. . It was as worse as bed bugs. . huhu. . I didn’t feel the itch on all the bites i had until the next couple of days after our vacation in Tioman. So just be careful and apply anti-sandfly (if there is one, I actually don’t know, hehe). . Minus the sandflies, Pulau Tioman is a perfect place to relax.